Big things are undoubtedly ahead for all members of the Final Five U.S. women’s gymnastics team. Whether it’s getting started on training for the 2020 Olympic games or moving on to bigger and better ventures, with their incredible success at the 2016 Rio Olympics there are definitely big things ahead for these ladies. But will Simone Biles join Dancing with the Stars? Not only is she one of the top contenders for the gig according to Us Weekly, she wouldn’t be the first of the Final Five to be on the show. According to Us, if the DWTS producers have their way, she would be the first person to join next season's cast. And though it might seem that the gold-medal winner might be more focused on training for 2020, there have been other Olympians who have competed in between Olympic games. For instance, Biles’ good friend and teammate, Aly Raisman, has already competed on the show. She came in fourth during Season 16, joining a long list of Olympians who have competed on the show. In addition to Raisman, the show has also featured Olympians Apolo Ohno, Shawn Johnson, and Meryl Davis. 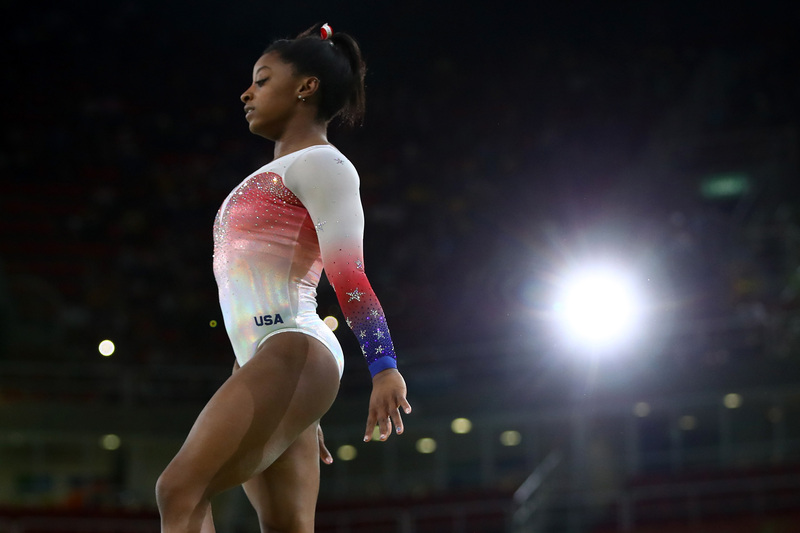 And if those past competitors are any indication of how well Olympians fare on the show, I have a feeling Biles would do just fine for herself. With so many famous athletes starring on and doing so well in the show, I wouldn’t be surprised if Biles joined the cast. I mean, she does have four more years to wait until the next Olympic games. That seems like plenty of time to me to fit in a season of a reality television competition. Plus, something tells me with her current popularity and her amazing personality, America would fall even more in love with her on the show than they already are. I mean, if that were even possible. I am already pretty head over heels in love with the girl as it is.